In the course of my life I have lead other men. I cannot say that I was a good leader, though, for while I was perfectly capable of giving an order I found that knowing what to say at other times much more difficult. What are the right words to use when comforting someone who is sad? How does one tell a person his work or behaviour is unacceptable? I wish I had read your account of Alexander’s march through the Gedrosian desert when these things were happening, for it has taught me a very important truth: sometimes, there are no right words. Furthermore, sometimes it is even better not to say anything at all. This was certainly the case for Alexander. His men were starving and thirsty. They were dying. This is why they stole the provisions meant for Nearchus’ fleet, and butchered their pack animals. In light of this, Alexander showed wisdom by feigning ignorance of what was happening. Of course, what the men were doing was objectively wrong. What Alexander was doing was objectively wrong, too. But I hold that the circumstances means that neither was culpable for their actions. How complex morality is! The harshness of the Gedrosian desert gave witness to some of the greatest highs and lows of Alexander’s career. He tipped the water into the sand in solidarity with his men but also had to leave behind those who were dying. Am I right to say that the Macedonians (like the Greeks?) believed that one had to be buried/cremated in order to find peace in the afterlife? If so, leaving people behind must have been a traumatic decision to take. They were not just fellow soldiers but friends. Alexander is to be commended for his selfless act but we cannot move on without asking why he decided to take his men through such inhospitable territory in the first place. I am amazed that he chose to do so in order to ‘go one better than Cyrus [the Great] and Semiramis’. It is one thing to do a positive deed in order to achieve greatness but no good could ever come of crossing such a harsh desert. And yet, it was the same spirit that led Alexander to take on the Persians in the first place, to defeat them and do so many other great things that led him to put his army at such risk. Desire is a dangerous creature, indeed. At this point, I would like to propose Peucestas as Alexander’s best satrapal appointment. 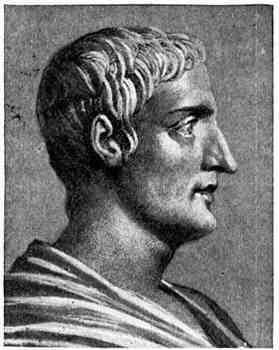 He has stiff opposition from Antigonus Monophthalmus but whereas Antigonus was forced to use arms to bring his enemies to heel, Peucestas made friends of them with his willingness to learn Persian, and to live, and dress in an oriental fashion. I live 2300 years after Alexander died. There are not many places left that we can say ‘Alexander stood here’. 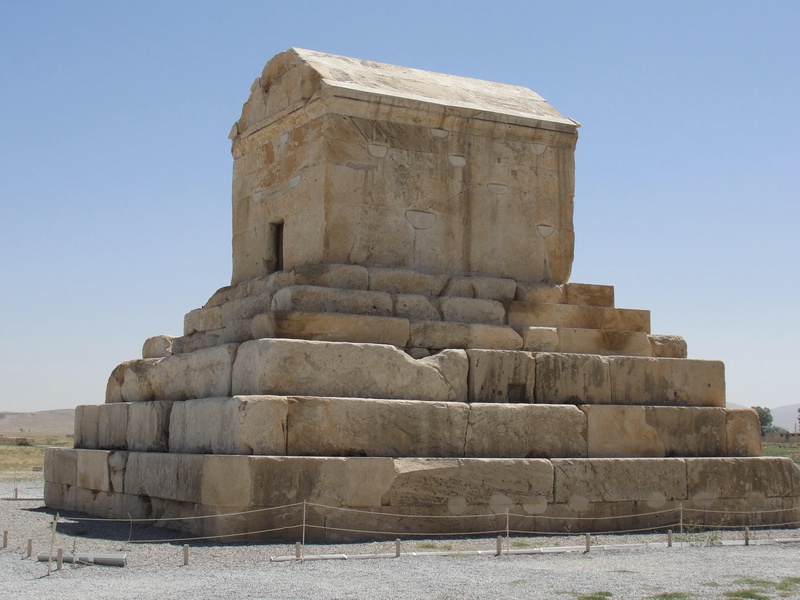 Siwah is one of them, the tomb of Cyrus at Pasargadae is another. I am delighted to tell you that it still stands. Here is a picture. As you can see, the grove of trees is gone, and the door has been unsealed. The inside is bare, and there is no sign anymore of Cyrus’ body. A different religion looks after the tomb now. Everything is different. But, one day, all those years ago, though I am sure under the same blue sky, Alexander and his officers stood in front of where we are looking now. It is a tremendous thought. Oh to be the sun who witnessed that event! How I wish there were more places still standing from those that Alexander and his army visited! Even Alexandria (in Egypt) can’t boast of that. There’s magic in such places, a sense of continuity; it’s like touching the essence of an age long gone, of people long dead. I’m planning to make my own pilgrimage to Siwah next Winter, and I wonder what it would be like to stand in the place where Alexander was proclaimed a God! Speaking of Siwah, what do you think about the events that transpired there? How I wish to know what Alexander asked Zeus-Ammon, I really don’t believe he asked him about Zeus being his father or not! Any thoughts about that? It is lovely to hear from you. Thank you for your kind comment! Sometimes, posts can be very difficult to write but the words flowed with ease for this one. I am very grateful whenever this happen! I doubt there is a fan of Alexander who does not wish there were more places associated with him still extant. For my part, I am currently reading about the Eggyptian desert explorers of the interwar years and wishing very much that I could follow in their footsteps – to the Gilf Kebir, Kufra Oasis, 40 Days Road and anywhere to dream about finding Zerzura! Most of all, though, I would love to visit Siwah! I am very happy for you indeed. I’m sure it will be a great journey. In his documentary on Alexander, Michael Wood calls it the only place one earth where we know Alexander stood. I don’t know why he doesn’t mention Cyrus’ tomb (unless he takes the view that it actually isn’t; to be fair, there is – apparently – no firm identification of it as such). To go back to Siwah, though, I think your question requires a post to answer. My immediate thought is that I could easily imagine either Alexander or the priest of Ammon telling a third party what happened when Alexander went into the temple. If I had to chose between them I would say that Alexander let it be known he was told that he was the son of Zeus-Ammon. My reasoning for this is the fact that Callisthenes wrote about it (or so says J R Hamilton in his notes for my copy of Arrian) and he would never have done so without Alexander’s permission. That’s a provisional response. I will try and read the texts again and see if any other thoughts occur to me. One last thing – Alexandria. It is such a frustration that here we have Alexander’s finest city and yet the Alexandria that he founded and the Ptolemies developed is either lost or hidden under more modern buildings. As well as the places mentioned above, I would dearly love to visit Alexandria but I fear that if I did I would be very disappointed by what I found. Aren’t you never been in Pella, or Vergina? I was there and I thought I might faint with emotion! And I can’t describe how I felt watching the treasures of Philips tomb, the very ones Alexander himself touched and put inside! Even now I tremble with elation! I dont know how to contact you by email but is this a challenge perhaps?